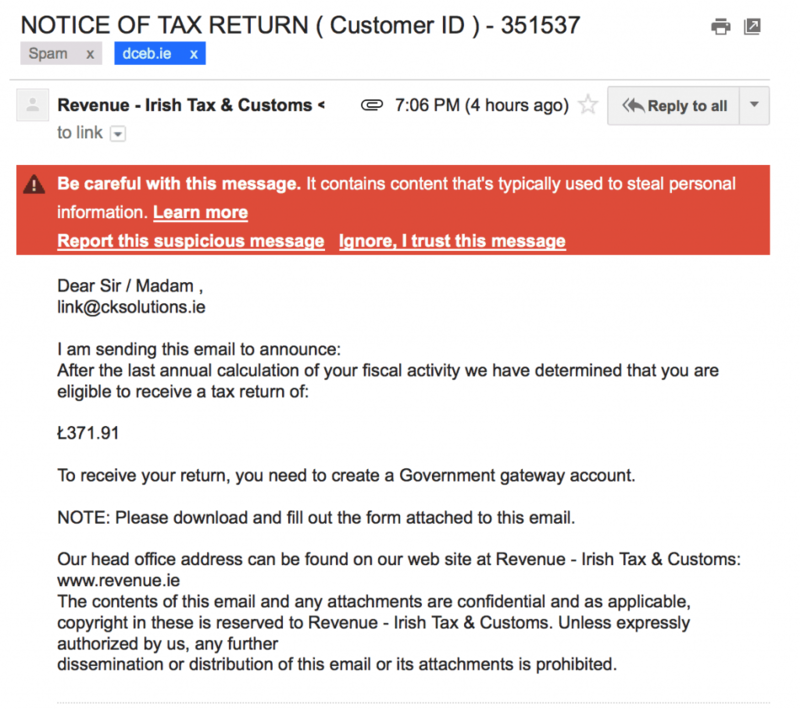 Seams that scam artists are getting a lot more targeted today have I have received 6 notes that my tax returns are due. Email starts off something like this. Please do not click on this link or attachment and delete starlight away. If you are receiving these into your inbox then you are in need of some form of anti-spam filtering. Is Microsoft Security Essentials Right for Your Business?